Want to know more about the Festival? Check out the most commonly asked questions below. Alternatively please reach out to us via our contact page as we'd be keen to assist you in your query. Shepparton is located in northern Victoria, the commercial centre of the Goulburn Valley region, just over two hours from Melbourne. Shepparton is easily accessible via car, bus or train. View Visitor Information here. Where in Shepparton is the Shepparton Festival held? A variety of venues and public spaces in Shepparton and surrounds host events throughout the Festival. 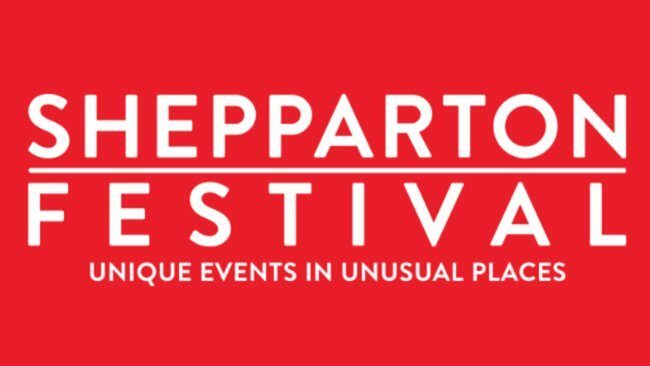 The tagline for the Shepparton Festival is ‘Unique events unusual places’ so we pride ourselves on making non-traditional spaces exciting event locations during March. For more information view the Festival Guide. When is the next Shepparton Festival? Every year the Shepparton Festival takes place over 17 days in March, taking in the Labour Day public holiday. It does change dates annually depending on when Easter lands annually. The 2018 Shepparton Festival will take place from 2nd March until 18th March 2018. Tickets to events at the 2018 Shepparton Festival will be on sale towards the end of January 2018. Check out the upcoming events for more information. I have lost my ticket. Are refunds available on my ticket? At the time of purchasing your ticket, you will be presented with Terms and Conditions of sale. It is imperative that you read these very carefully as it is the Shepparton Festival policy that we do not offer refunds. Tickets are sold on behalf of small organisations and non-for-profit groups who rely on ticket sales in order to put on performances. Changing your mind about attending a ticketed event can make the difference between a non-for-profit group being able to produce an event or not. We suggest if you can no longer attend an event you try re-selling it to friends or family. We will happily facilitate a ticket exchange into the new name of the attendee if you contact us at admin@sheppartonfestival.org.au at least 48 hours prior to the event. Are there any concessions available on tickets? Many of our events offer concessions for students or seniors. Please check the information for each event online or in the Festival Guide. Where can I view a Shepparton Festival Program? The Festival Program can be viewed here. What if I would like a printed copy prior to the Festival? If you would like a printed copy of the Festival Program we suggest you drop into the Shepparton Visitor Information Centre on Nixon Street or Riverlinks at Eastbank on Welsford Street or contact Riverlinks on (03) 5832 9511 and request a program be mailed to you. The Festival Program is also available at many restaurants, cafes and retail outlets throughout Victoria. I am not from Shepparton. Where can I stay? Shepparton has a large range of accommodation options available - the Greater Shepparton Visitor Centre can assist with further information about accommodation options that best suit your needs. Can I get to the Festival using public transport? Balfours Airport Direct is a small regional business centrally located in Victoria. Servicing the North Eastern / Alpine region, Southern NSW and Riverina area, Murray and Goulburn Valleys, and North Central districts, with a timetable which conveniently connects with V-Line coaches and trains in Wangaratta, Benalla and Shepparton, they can provide you with trouble free travel to and from Melbourne Airport. For more information on timetables and fares or to purchase your ticket, please click here. V-Line trains and buses run numerous times a day from the Southern Cross Train Station in Melbourne to Shepparton. For travel information and an up to date timetable, please click here or phone 136 196. Buses and taxis operate a regular service throughout Greater Shepparton. Local bus timetables are available from the Greater Shepparton Visitor Centre on 1800 808 839, while taxis can be booked by calling (03) 5822 2214. My question wasn’t answered. Where can I find more information? Still have questions? Email admin@sheppartonfestival.org.au and we would be happy to help.